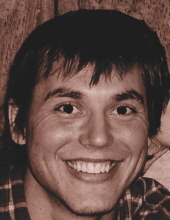 Patrick Lee O’Neal entered this earth on July 14, 1981 as the son of Danny and Deborah O’Neal and joined his Eternal Father on March 25, 2019. He made this possible in March of 1987 when he accepted Christ as his Savior. Patrick was a very accomplished young man who achieved many things. Patrick attended Navarro College on a golf scholarship and went on to acquire an Associates of Arts Degree from Trinity Valley Community College and an Associates Degree in Surveying from Tyler Junior College before getting his Bachelors of Science Degree from University of Texas at Tyler. He loved to do all kinds of woodworking and had done all the finish wood work in the home he lived in. He loved to be outdoors gardening and had received his license from the Federal Aviation Administration as a Drone operator. He developed a passion to cook and especially loved to cook for his friends. A memorial service will be led by his pastor and friend Rev. Leon Wallace Saturday at 2:00 P.M. at First Baptist Church, Athens under the direction of Autry’s Carroll-Lehr Funeral Home. After the service the family will greet guests in the foyer of the sanctuary. Memorials may be made to the American Kidney Fund, or the Alport’s Foundation. "Email Address" would like to share the life celebration of Patrick Lee O'Neal. Click on the "link" to go to share a favorite memory or leave a condolence message for the family.